Hey everybody on the flite test forum! I am having trouble trying to figure out how to get a spinner that is designed for a shaft of 6mm to fit on the 3mm shaft of my NTM 28-26 1350KV motor. I am ordering a bunch of stuff through hobbyking so I can finish my FT Spitfire and a couple of other projects that I have on the go. Now I know that the answer may be as simple as: get an adaptor!....but I am COMPLETLY unsure of what direction to go and what would be the proper thing to use. If a link (preferably from hobbyking) could be posted to show what I should use (and maybe a better spinner for that matter) that would be awesome. What might be best (if you can find one in the size you need) are the center mount spinners. Like this one. There's either an adapter nut (This one is only close. I didn't see one that was M4, which is what you'd need to fit the shaft on the NTM prop adaptors)that threads onto the prop shaft and the spinner threads on to it or you can just drill the shaft itself and tap it for your on-hand hardware. Granted, drilling and tapping are precision work and not for the faint hearted and should only be done with a drill press or mill. I do have access to the tools to drill or tap but I don't want to screw it up and have to wait for more replacement parts. I know that's all part of the fun but I really just want something that you can just thread on without any trouble so I can get up in the air just that little bit faster. I took a glance at the all the other spinners (I didn't want to get an alloy spinner....it would be wayyyy to heavy) and it seems like everything needs some sort of adaptor. I'm thinking this will work. 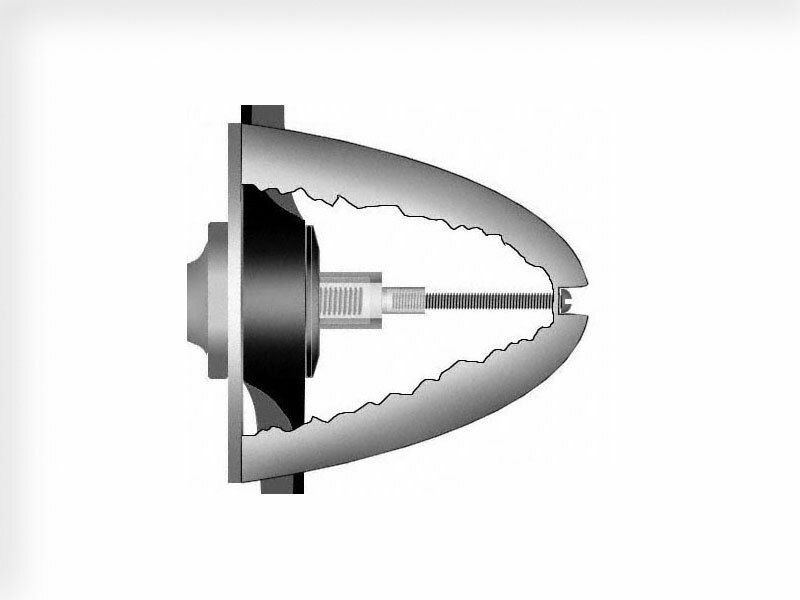 One more quick question.....about the center mounted prop spinners, how do they differ from the other side mounted spinners (like how they are mounted in comparison). I know the other kind of props screw onto the back plate. They only differ in where the screw goes. 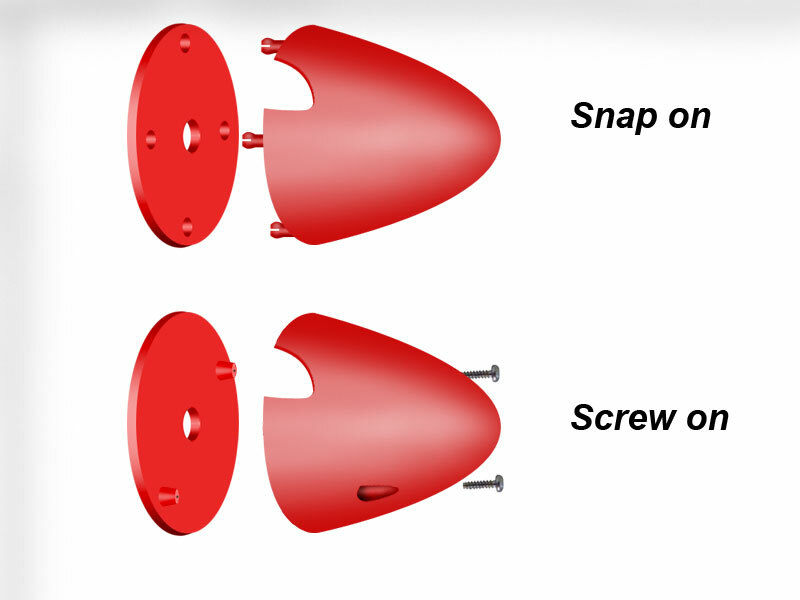 The side mounts go into the backplate where the center mounts screw to the shaft or an adaptor on the shaft. From what I can tell, the center mounts are usually not limited to a certain shaft size either. That spinner is 33g ... Which seems a lot of extra nose weight that far forward. Might be hard to compensate for especially if you built the removable wing version... Not much room rearward for the battery if you are sticking to the bottom of the power pod. Might work fine though, just worth thinking about. My main question is that I have a PZ1015 9x7.5x3 (3 bladed) prop I want to use for the Duster build and would like to find a spinner to use with it. Of course you need to pick one designed for a three-bladed prop.